Hello hello everyone! ☆*:.｡. o(≧▽≦)o .｡. :*☆ It has been around 2 weeks since AFAID2015. I miss it already! Missing all the maids and butlers as well as the staffs that took care of us. While the memory is still fresh in my mind I shall make a post about AFA CAFE 2015 *yeay*( ´ ▽ ` )ﾉ. Okay so, most of you may have already know that I joined MMK or AFACAFE[MMK+AR]. Don't know what is AFA? 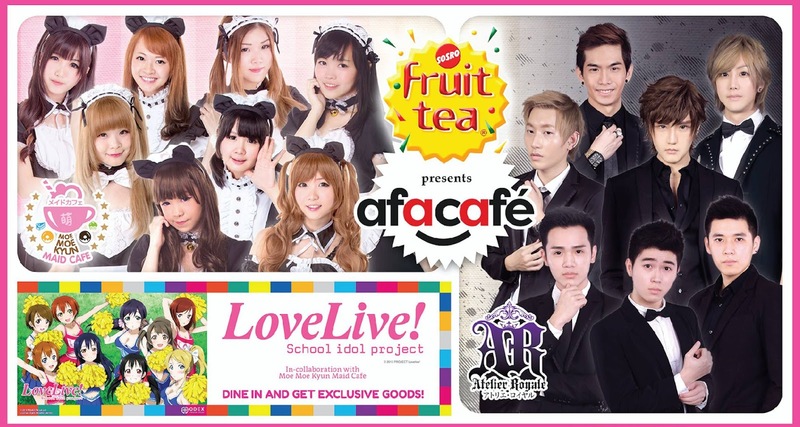 Click here to know more :D. At first I thought there will be no more AFA CAFE but suddenly *ding dong* our manager asked who's available and able to join AFA CAFE. 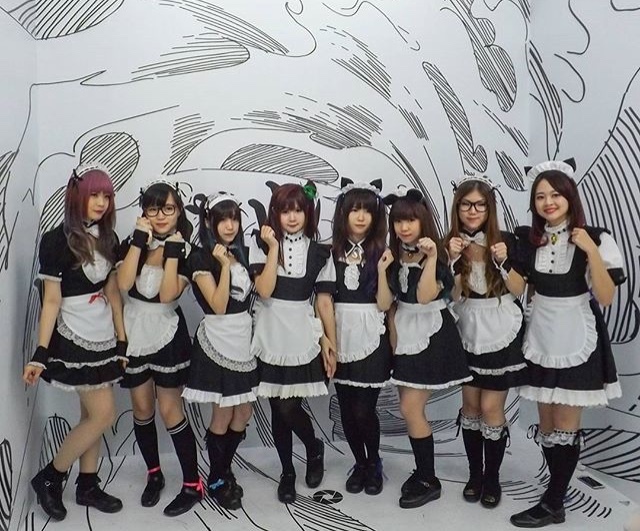 In AFA, there's a cafe called AFA CAFE where moe maids and handsome butlers will serve you with delicious food and drinks! 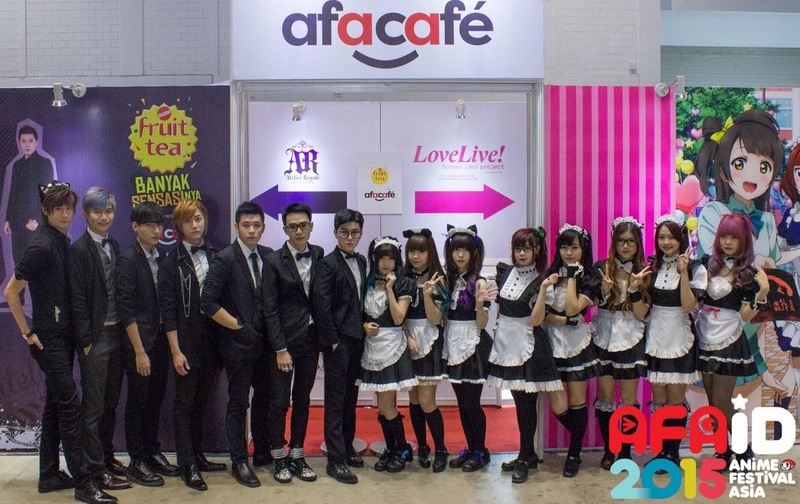 AFA CAFE is the combination of Atelier Royale and Moe Moe Kyun, where AR is for the butlers and MMK is for the maids. This year, AFAID2015 was held at Jakarta International Expo from 25-27 September 2015. If you don't know what's MMK you can go to their page here and don't forget to like! ;) Anyway, here is my picture as Kathy. I reached the hotel early and met Momo! We sat and talked at the lobby while waiting for the other members to come. Afterwards, the meidos went to Momo & Yume's room to chill and did a livestream via #17 app. I made 17 app here's my username in case you're wondering: cathysie. With Mei, one of the new meido in AFA CAFE~ she looks like she is angry/unfriendly, but inside she is a really nice person to talk to. I bet those who talked to her during AFA would agree to this. lol. With Yume, she is so funny and hilarious in person, not to mention pretty too (*~▽~) she is my twinnie in AFA as our costumes are the same XD. I really like her purple ombre hair it looks so cool *-* really match with her cosplay as Reyna lol. With Mayu~ she is so comical like Yume, never fails to make me laugh. Did you know that she is Comi's sister? They got the tall genes, I wish i'm as tall as them ;-;. Did you know that she has the same interest like me? Yes, we both love watching crime series! With Nao, the puppy eyes butler. People say he has those puppy eyes and yes he does. As I have mentioned before he is good at singing like Kei, I think they should do a duet cover together someday. With Yutaki, the tako butler haha. He is so cute and adorable and...so damn tall. I feel like a midget next to him. It's so hard to take pic with him too because i'm so short ;-;, either he has to bend down or sit down in order to take picture with me lol. With Takuya, the wolf prince! He is so hardworking and kind. I still remembered last year I was carrying more than 6 dirty dishes on my hands he came and helped me without me asking. With Hiroshi, the head butler of AFA CAFE. He is so hilarious like everything that comes out from his mouth is 99% funny. He is super kind and nice too. I always see him running around AFA like he can't stay quiet lol. I'm loving his unicorn hair bytheway, it looks super awesome! With momo, my marshmallow cheeks *-*. I wish I can pinch that cheeks every day lol. She is uber cute and such a nice senpai to all of us! Finally after a year, I'm back being a meido. It's so sad that the cafe is being separated, I think its more fun if the butlers and the maids are together. The customers can also play and talk with both butlers and maids if the cafe is not separated. 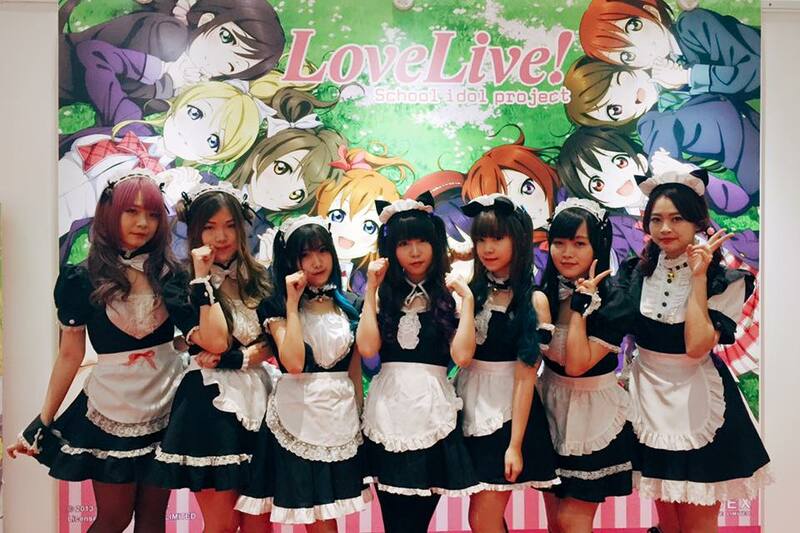 But this made the maids closer to each other as we got to spend girls time during AFA. I am a very shy and awkward person in real life. I am also an introvert, well you can say I have INFJ personality. I don't want the others to think I'm rude or unfriendly due to my shyness and awkwardness ;-;; I want to talk to them about many stuffs and just let the inner tiger out lol. I tried to blend in by starting to talk to them about anything even if it doesn't make any sense(glad that I did it *-*) and gradually knowing more about them which makes me happy as I think it made all of us closer. Almost every night, we hang out and gossip. Not to mention, all the dancing and singing time while we wait for the customers at AFA CAFE. These make me feel like I have another family. *hugs my afa family* Thank you for making me smile, laugh, and happy. I hope we can work together again in the future. And of course, thank you for all of you who came and support us! It really means a lot. See you again someday~ maybe in another event hehe. All of your photos are super cute! It looks like a lot of fun!